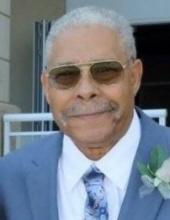 James Howard Lee departed this life suddenly on January 15, 2018 in Nottoway, Virginia. He was born on April 8, 1943 to Daniel Webster Lee and Hazel Mildred Tucker in Baltimore, Maryland. James was baptized and joined Springhill Baptist Church at a young age. He attended and graduated Luther H. Foster High School in 1962 in Nottoway County, Virginia; During his high school years he participated in all the school sports i.e. basketball, baseball and football. He attended Virginia State University for 1 year. In 1963 he married his high school sweetheart, Maude Elizabeth Craft to their union they had four children. James started his first job out of high school at Texaco gas station in Blackstone where he worked as a mechanic and gas attendant when needed. Later, he was employed at Brown and Williamson Tobacco Company in Petersburg, Virginia where he worked as a machine operator until the company relocated to Georgia. He then accepted a position in Nottoway County at Department of Corrections where he worked as a Correctional Officer. James had various side careers where he worked as a carpenter building houses/additions and an auto mechanic. His children consider him a master of all trades-there wasn’t anything that he couldn’t do or fix. They would often refer to him as MacGyver because he could fix anything using anything. James’ grandchildren were his pride and joys. He cherished his time with them. He and Eli would often spend hours together with Eli’s horse Twister. Also, he had started bonding with Jaycie. James was preceded in death by his son Patrick Jerome, mother, father and stepfather, Leon Ellis, who a great influence on his life; his brothers Samuel and Daniel Lee. He is survived by his three children, Sherry Hankins (Lanksford), Patricia Tucker (Kenneth) and Jermaine Lee; two grandchildren, Eli Hankins and Jaycie Lee; He was married to Carol Dugger and had three stepchildren-Alicia Wilburn (Delaney), Dewey Dugger and Rodney Battle; seven step grandchildren, Aunye, Aireana, Aulana, Delaney, Naya Dewey Jr. and Zakeya; One brother Meredith Lee, two sisters Gladys Hawkes and Joyce Moseley (Tim), One very special dedicated aunt, Fannie Rather. He also leaves behind a host of nieces, nephews, cousins and friends. A lifetime best friend Charles Daniels a.k.a Uncle Buck, and two special nephews Anthony Craft and Andre Lee. Funeral Services will be held Saturday, January 19, 2019 at 1:00 p.m. at Springhill Baptist Church, Blackstone. Interment church cemetery. To plant a tree in memory of James H. Lee, please visit our Tribute Store. "Email Address" would like to share the life celebration of James H. Lee. Click on the "link" to go to share a favorite memory or leave a condolence message for the family.